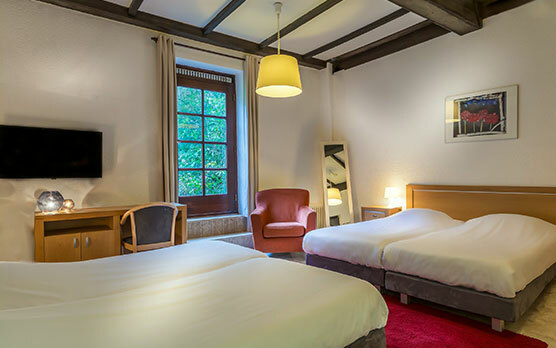 At Landgoed Overste Hof, you can enjoy all the peace night has to offer. You can discover this for yourself in this room which is designed to make your overnight stay in Landgraaf as pleasant as possible. The stylish single rooms have a separate bedroom and toilet. And in addition to a relaxing stay, Landgoed Overste Hof also offers a wide choice of room service. 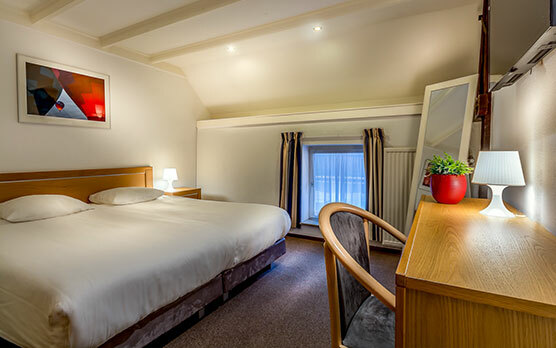 The double room is a luxurious hotel room with a large, comfortable bed. The rooms feature a separate walk-in shower, toilet and flat screen TV, making this a comfortable setting for your luxurious or business stay in Landgraaf. The room also features a desk, minibar and room service from our excellent restaurant where you can dine all day. 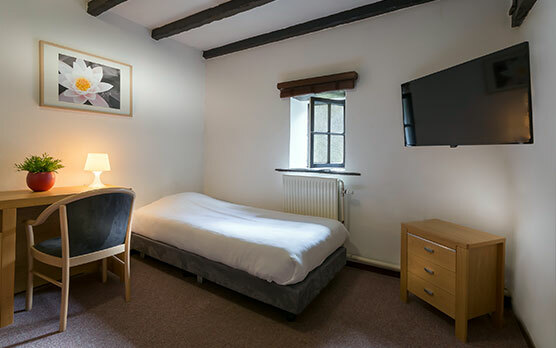 The triple room is a large hotel room, ideal for an overnight stay with a fellow traveller, companion or family member. The room features three comfortable box springs, a separate shower and toilet, flat screen television and desk. A stylish ambiance with service that will make you feel immediately at ease. Would you like to sleep with your children in one room or do you want to enjoy luxury and comfort with your friends at an attractive price, then our quadruple room is right for you. The four-person room is a spacious and features four separate comfortable box springs. For more information about the area or the hotel, you will always be assisted with a helpful smile at the reception desk. Our colleague are glad to help you make your holiday in Landgraaf a time to never forget. Make your stay in Landgraaf as pleasant as possible with this spacious, modern suite. 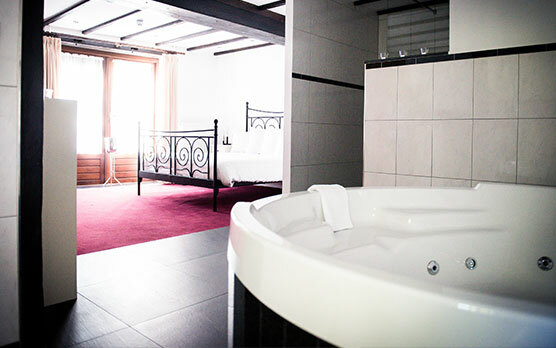 This stylish room is luxuriously decorated with its special jacuzzi as an eye catcher. Spend your night in style and luxury, and make turn your trip into an unforgettable experience. The room is also equipped with a walk-in shower and minibar. In addition, our hotel offers room service from our distinguished restaurant where you able to discover our culinary pleasures all day long.